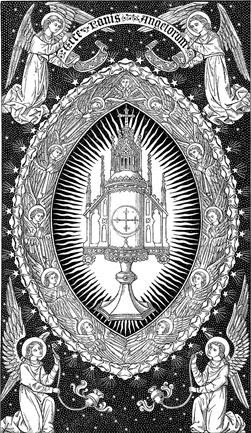 Another Anglican Blog: Homily for the Feast of the Holy Family (B) - "Holy"
Homily for the Feast of the Holy Family (B) - "Holy"
The feast of the Holy Family is a relatively new item introduced into the Christian calendar on the first Sunday after Christmas as a celebration of family life. 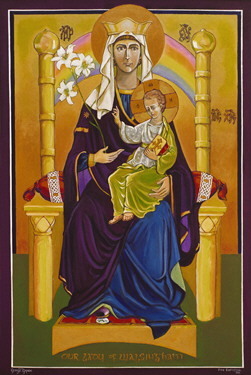 This feast should recall our attention to the original family composed by Jesus, Joseph, and Mary. I guess this family could be interpreted in two different ways; at first it could be said that this is a rather peculiar family that has very little in common with our domestic set ups… a wondrous child whose arrival was announced by angels, an adoptive father, and a virgin mother. 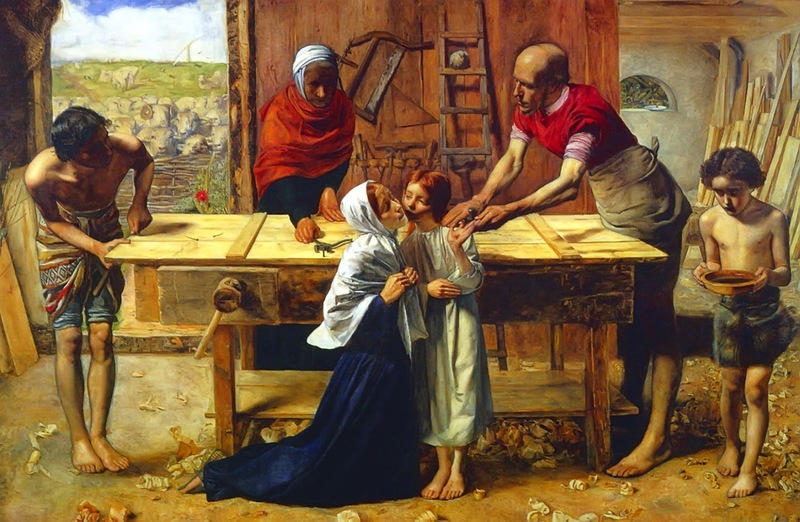 But then again, at the same time, the holy family displays also very normal traits; dad is a skilled manual worker, mum is a homemaker, and the son is poised to carry on the family business. They are a devout family which – according to the gospel – abided to the religious and social customs of Israel. Also, all of them know first-hand the hardships and tribulations of being refugees and immigrants. So we seem to have a problem. If we see the holy family mainly as a divine set up, we will never try to imitate their love and commitment to one another and to God, because we might feel that their head-start on us is too great. If we see them as a fairly normal family we will miss the awesome mystery contained within them. So what should we do? How should we regard the family of Jesus, Joseph, and Mary? I think the solution lies in the middle – in the word “holy”. We should consider their family both as special and normal at the same time; a place both where angels sing and nappies are changed; where the Son of God, the provider of all good things, lives and yet food has to be cooked each day… in other words we should regard this family as truly “holy” – a family where earth meets heaven and where day-to-day things mingle with God himself. I am sure that on this Sunday there will be preachers who will launch themselves against any type of domestic set up that does not fit into their interpretation of the family. We have seen this recently in our own Church of England with the debate about marriage equality. But I would be very careful of any such comment. We cannot use the family of Jesus, Joseph, and Mary as a moral weapon. Rather we should say, that whatever our family set up is, the Holy Family can provide us with a blueprint of domestic holiness, where our prosaic, daily chores ought to be mingle with a life of prayer, of devoted attention to one another, of constant engagement with God’s will. The family of Jesus, Joseph, and Mary ought to inspire us to make our own families “holy”; sanctuary places where earth meets heaven. we may share their company for ever. Amen.